Actor Sean Penn is reportedly taking his commitment to Charlize Theron to a new level – by committing himself to her son! Radar reports that the Walter Mitty actor has already started the process to formally adopt Charlize’s adopted son, Jackson. 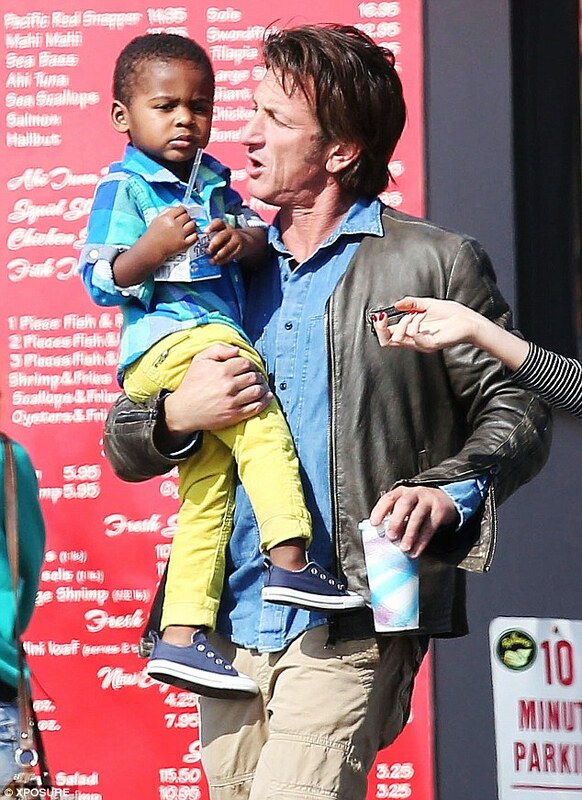 An insider opened up to Radar with the details of how Sean’s decision to become Jackson’s adopted father came about in the first place. The source continued by explaining the close bond that Sean Penn has formed with Jackson since he became seriously involved with his mother. Charlize Theron’s initial adoption of Jackson was confirmed by her official rep back in March 2012, according to People. During Variety’s Power of Women Luncheon in October 2013, Charlize Theron opened up about how her son inspired her work and involvement in the battle against HIV/AIDS in her native home of South Africa. Radar reports an inside source even went as far as saying that Sean and Charlize have talked about expanding their family even more by possibly giving Jackson a sibling in the future. The two Oscar winners first started dating a year ago after deciding to transition their longtime friendship into an actual relationship. According to Radar, the two reportedly started talking about the possibility of getting married once Charlize realized how well Sean was interacting with Jackson. As previously reported by the Inquisitr, Sean Penn popped the question and became engaged to Charlize during their vacation trip to Paris back in November. Charlize Theron has never been married before even though she was in a long-term relationship with actor Stuart Townsend. Sean Penn, on the other hand, has been married twice before and already has.